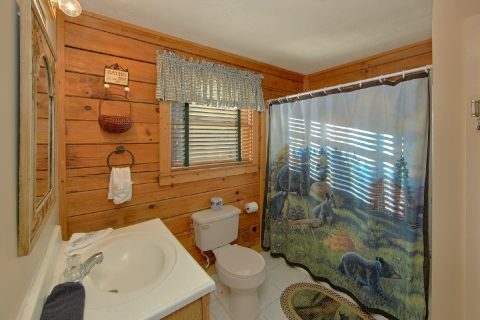 Welcome to "A Beary Happy Place" in Pigeon Forge, TN! 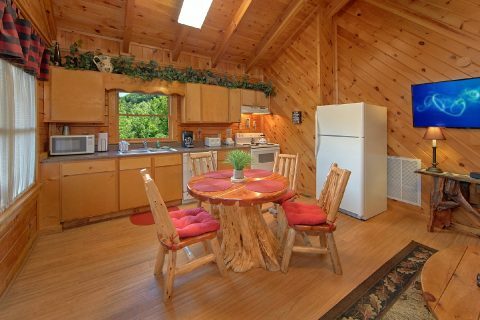 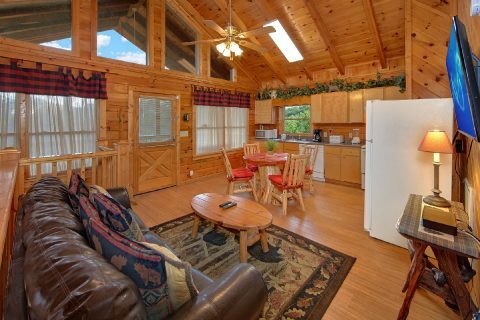 This comfortable 2-bedroom cabin boasts a great location and comfortable amenities that are sure to make your stay a delight! 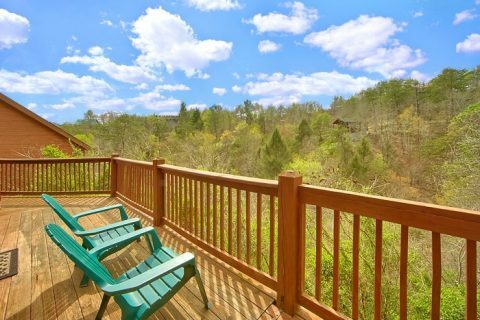 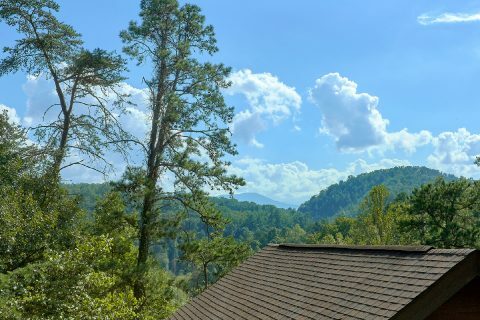 From this rental's lovely spot in the Upper Middle Creek road area, guests of this cabin can enjoy quick access to Dollywood and Downtown Pigeon Forge. 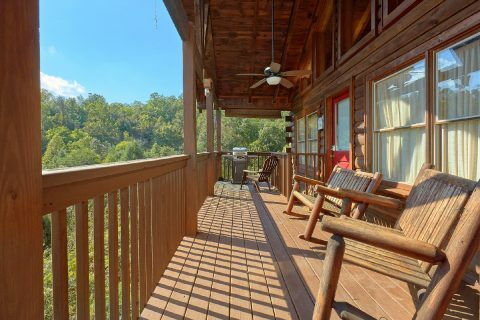 As a result, you can spend more of your vacation time enjoying great local attractions! 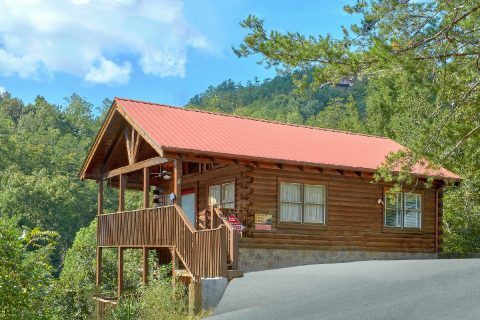 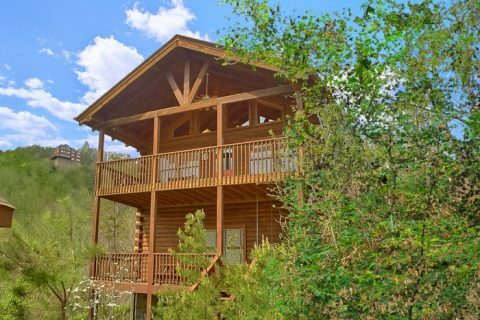 Since dozens of activities, restaurants, and shops in Pigeon Forge are only an 8-minute drive away, this cabin is a great fit for a family vacation or a fun trip with friends. 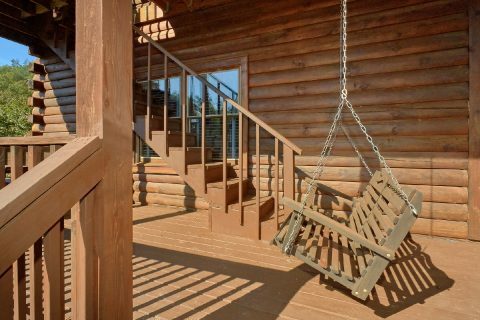 When you aren't busy riding the world-class roller coasters at Dollywood or seeing beautiful sights in Pigeon Forge like the Old Mill, you can enjoy unwinding at this log cabin that's close to all the action. 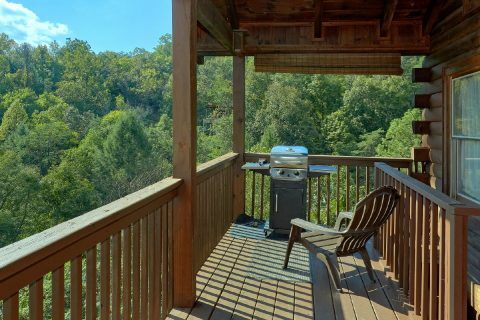 If you're looking forward to enjoying the great outdoors, you can always step outside to your rental's covered deck to take in the beautiful scenery that surrounds your cabin. 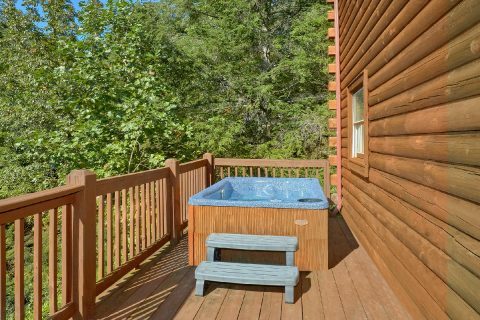 Better yet, you can take a dip in your cabin's outdoor hot tub to relax while you savor the sights and sounds of nature. 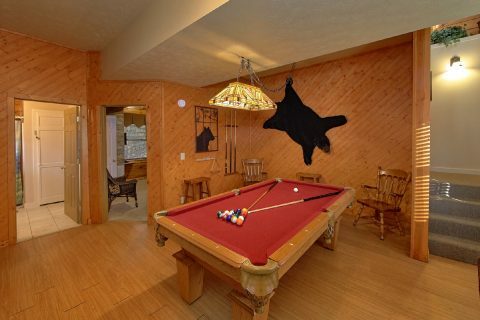 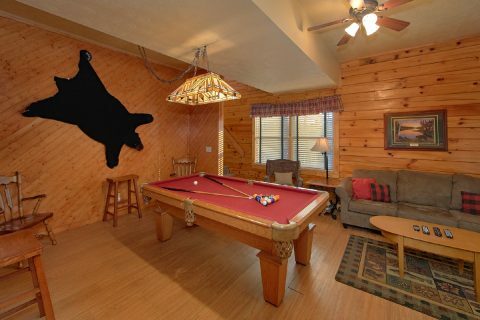 In the game room, you'll find hours of entertainment playing billiards with friends and family. 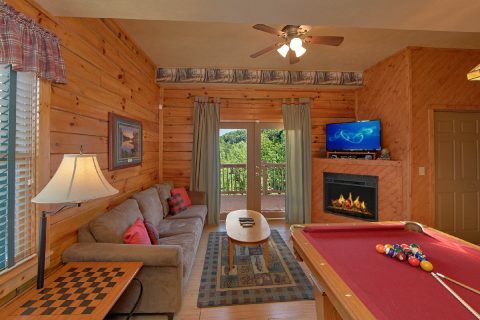 In the cozy living area, you can relax by the electric fireplace while you enjoy a movie night. 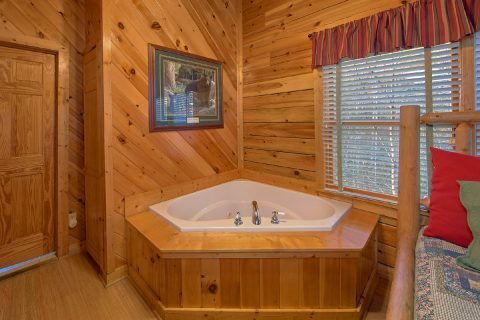 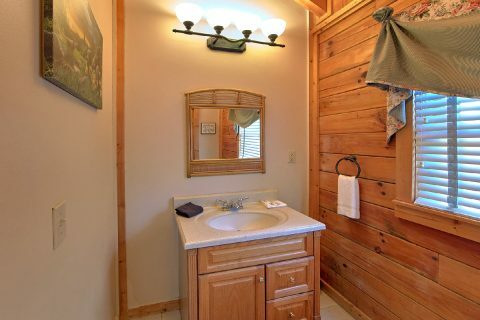 To rest your weary bones after an amazing day in the Great Smoky Mountains, you can always sink into the warm waters of this cabin's private jacuzzi tub. 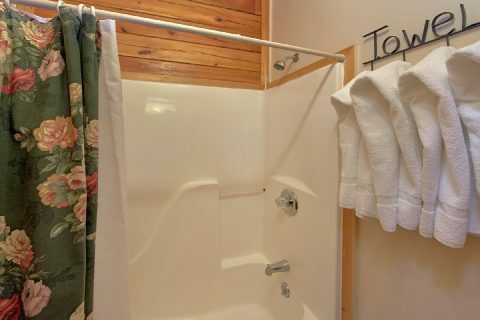 Additionally, "A Beary Happy Place" comes complete with practical amenities like wireless Internet, a fully-equipped kitchen, a charcoal grill, gas grill, and a washer & dryer. 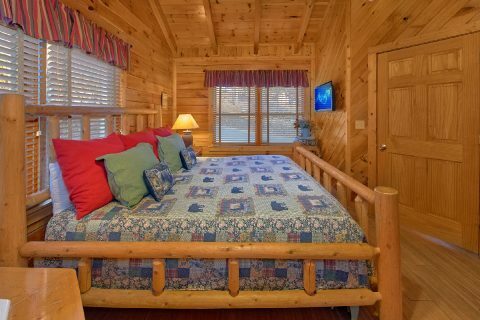 With room for up to 8 guests, this cabin with 2 king-size bedrooms is an affordable and comfortable place to stay on your getaway! 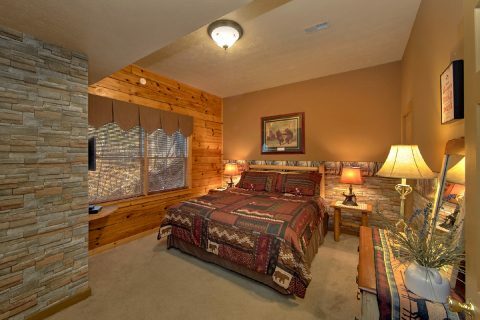 For extra guests, this cabin provides sleeper sofas for even more comfortable sleeping space! 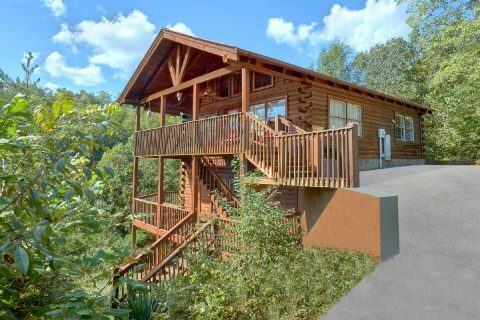 Don't forget to reserve your own cabin near Dollywood with Cabins USA to earn great savings on your vacation! 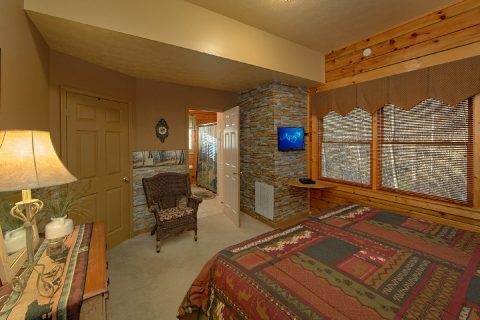 Simply book this cabin today to earn a special cabin discount that lets you save 15% on your nightly rate!